There are few things more delightful than having your expectations exceeded by a mile, and Blood Red Throne accomplished this magnificently during their early afternoon set. The Norwegian death metallers have always put out solid records, but experiencing them live was a different experience entirely. Their energy was spectacular, their performance tight and the chemistry between the band members at an all-time high (despite working with a new vocalist, who was as comfortable on stage and with his bandmates as if he had been singing with them since their inception). 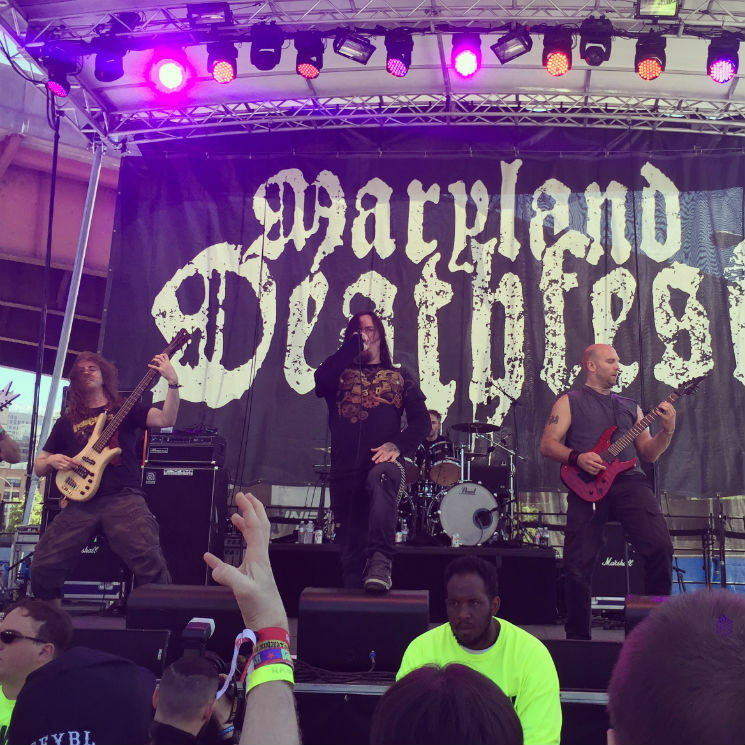 They unveiled a new song for the Deathfest crowd, "Martyr Eyes," and also performed the beloved track "Smite"; overall, their set was a great balance of old and new material, played with delightful violence. This set embodied how to win over a festival crowd.